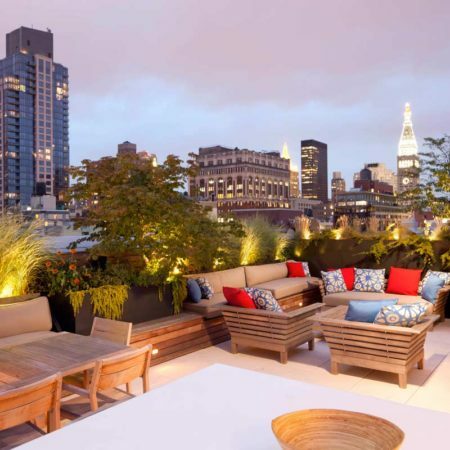 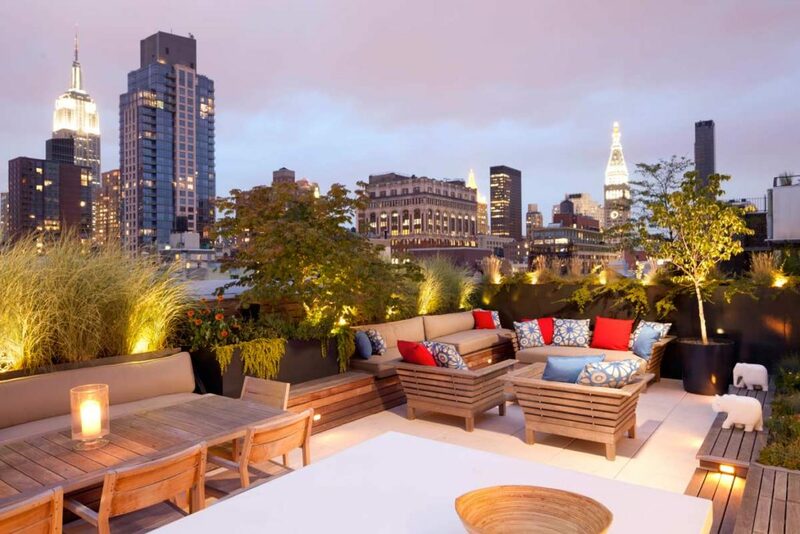 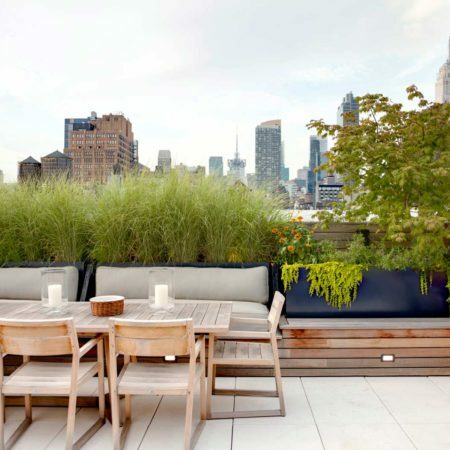 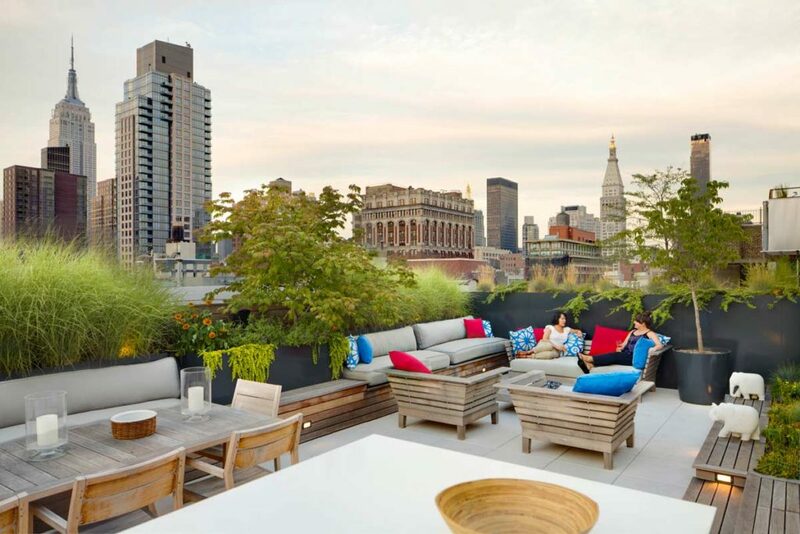 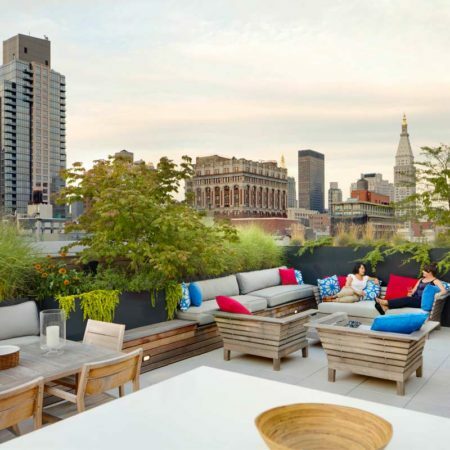 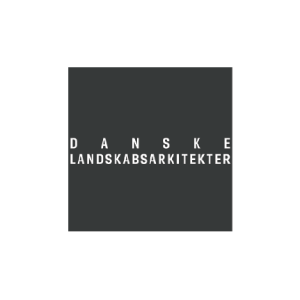 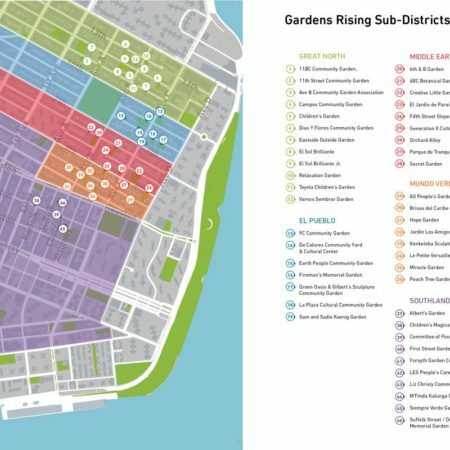 WE Design is a New York City based landscape architecture and urban design firm led by Tricia Martin, RLA, LEED AP and Winston Ely, LEED AP that applies landscape architecture solutions to our city’s most pressing environmental and social challenges. 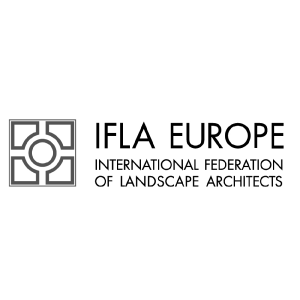 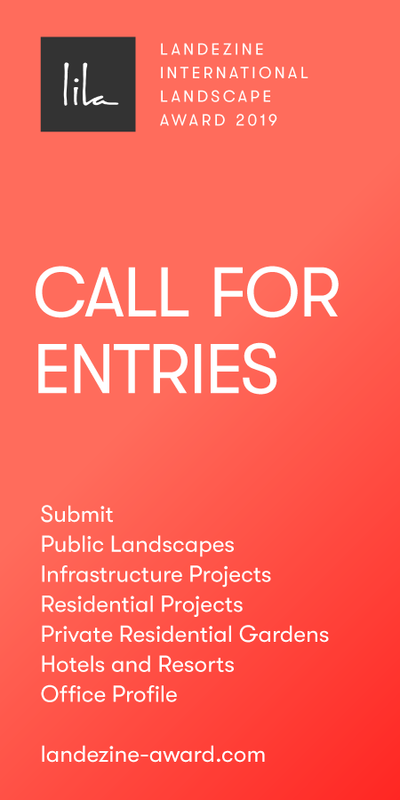 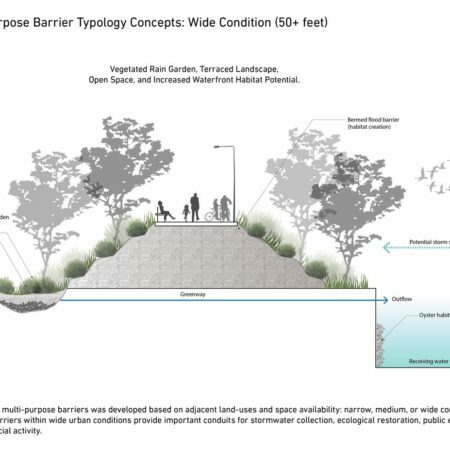 With backgrounds in landscape architecture, urban design, architecture, sculpture, industrial design, graphic design, and environmental design, WE Design is able to lead complex projects at a variety of scales that address climate change, environmental degradation, and social risks. 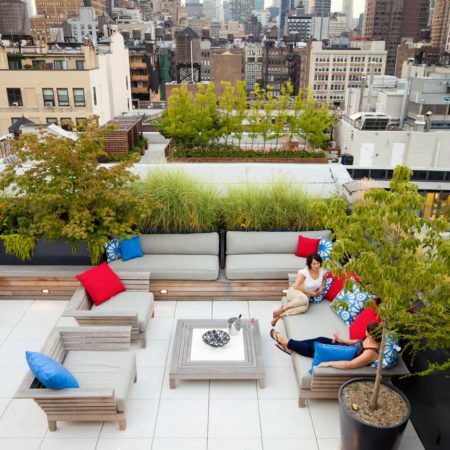 WE Design believes that good design and excellent customer service is a collaborative process. 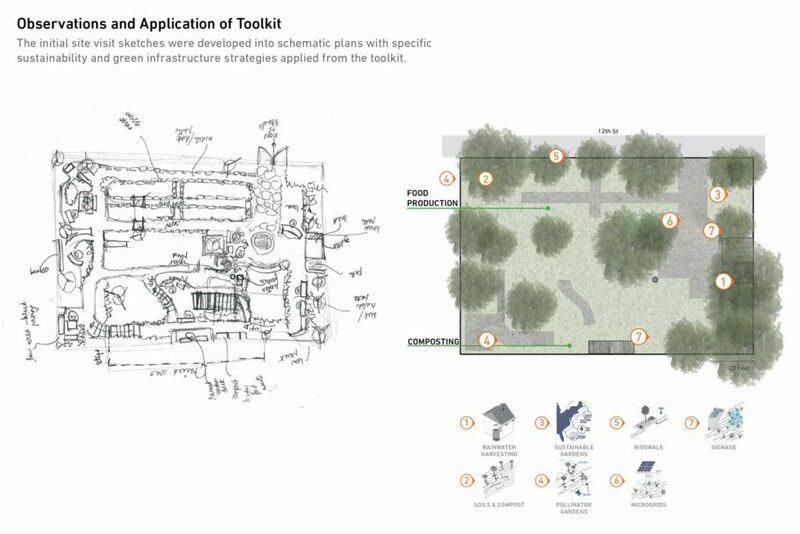 As a husband-wife team we understand first-hand the importance of listening, communicating, and sharing ideas as a critical part of the design process. 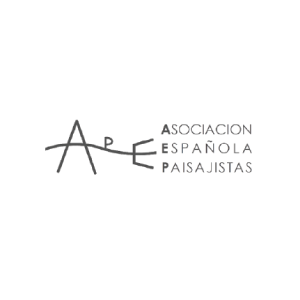 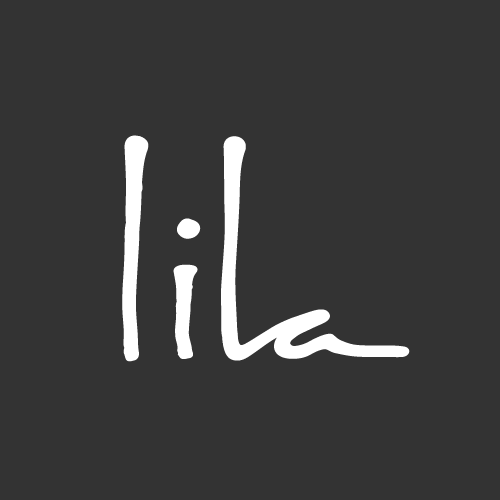 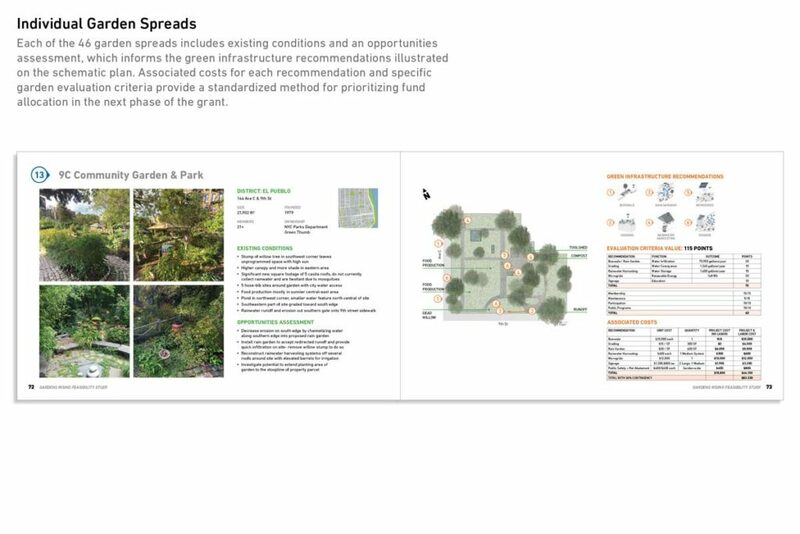 Our collaborations begin with each other, but extend to our clients, the communities, and the expert consultants that we work with to ensure a fantastic product. 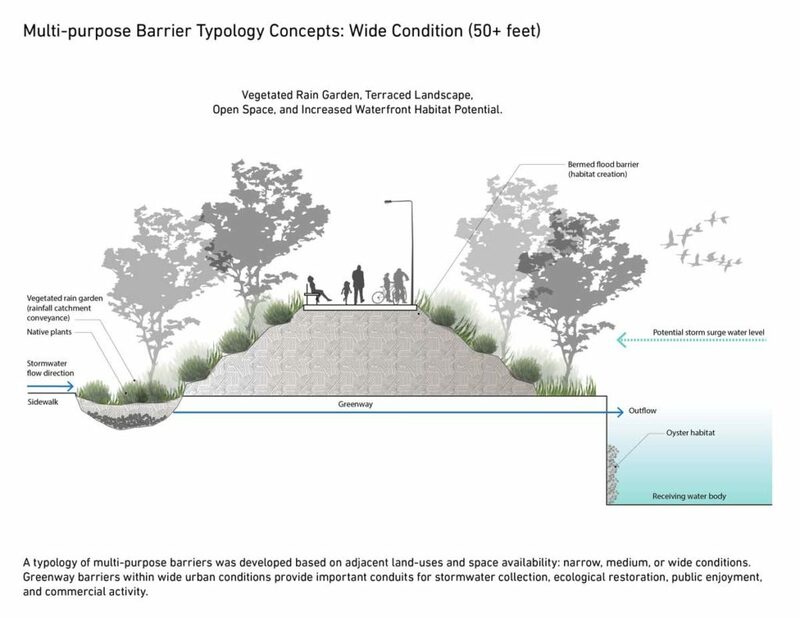 Urban ecology is the conceptual glue that binds our design solutions. 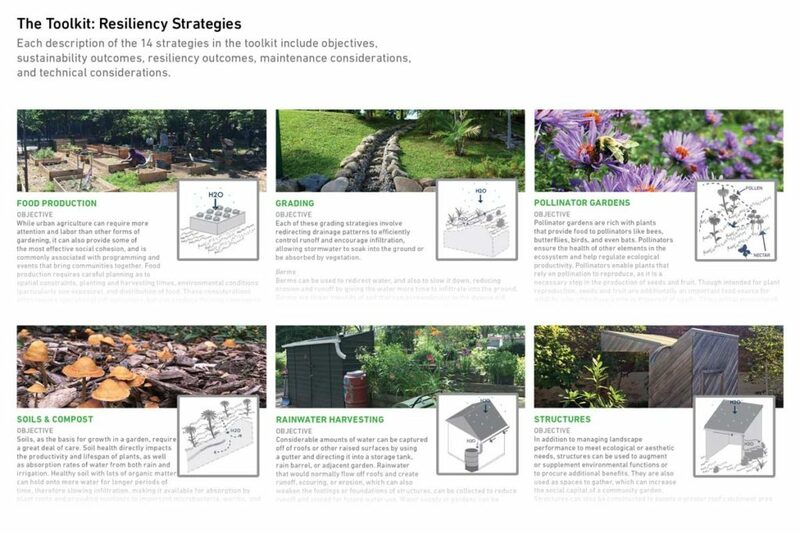 We weave ecological elements into the urban environment to address increasing social and environmental risks (what is good for bees is also good for people). 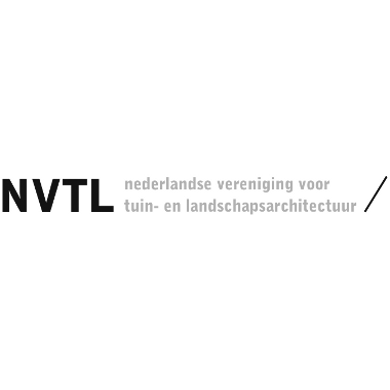 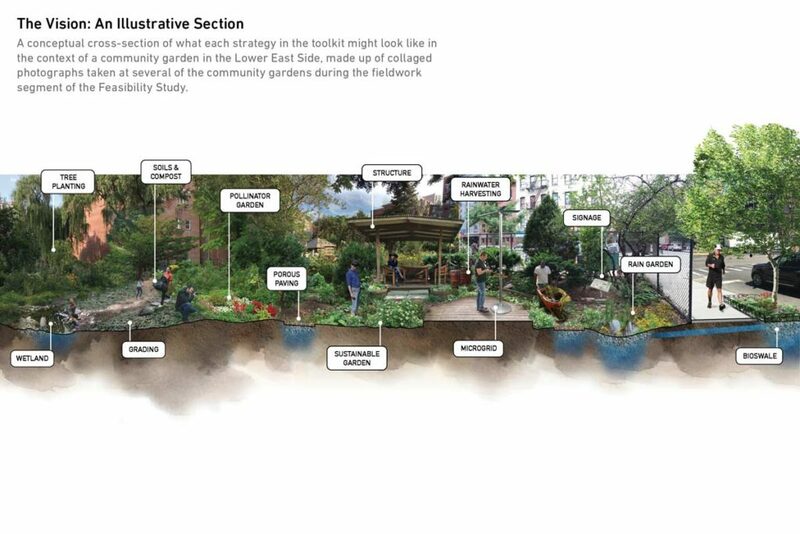 We also look to ecology as a way of thinking about design. 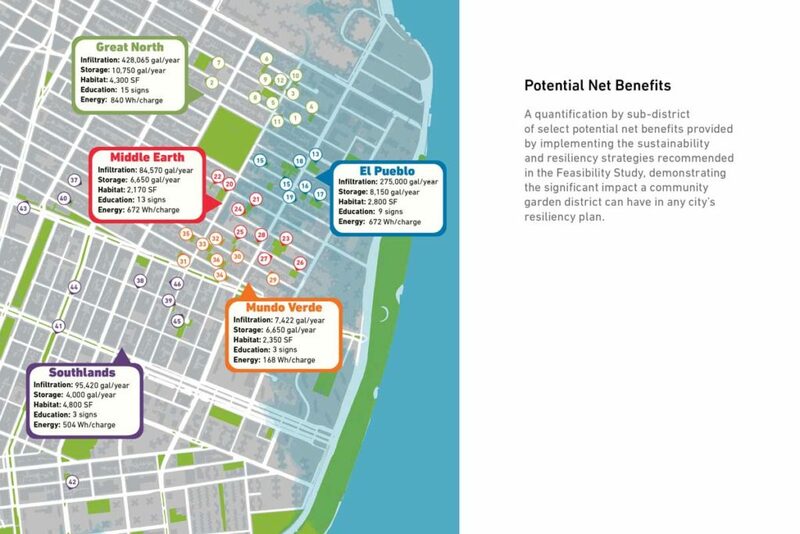 Strengthening the connections and relationships between individual elements and systems is essential to building a more sustainable, resilient, and beautiful city. 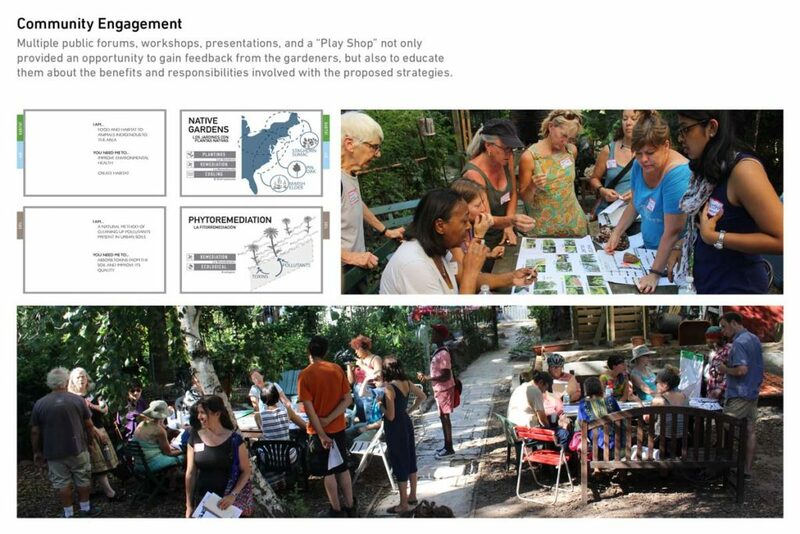 We take community engagement beyond the charrette to seek more meaningful, visceral, and community-specific methods of participation. 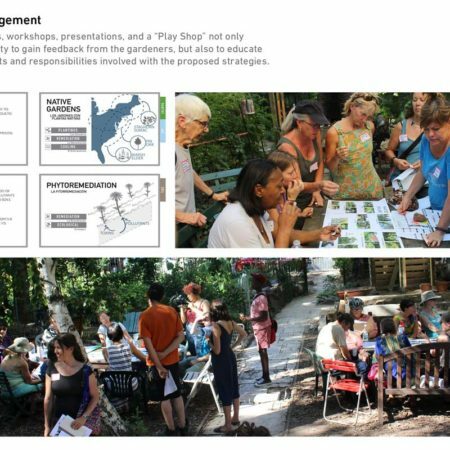 Using performance, games, and direct outreach, we blur and redefine the professional doctrine—entwining designer and community in a mutual process of education, advocacy, site design, and physical implementation. 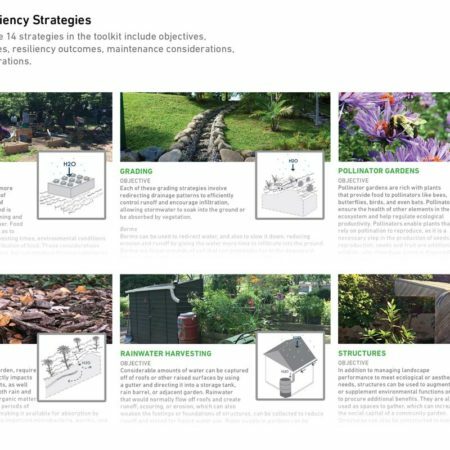 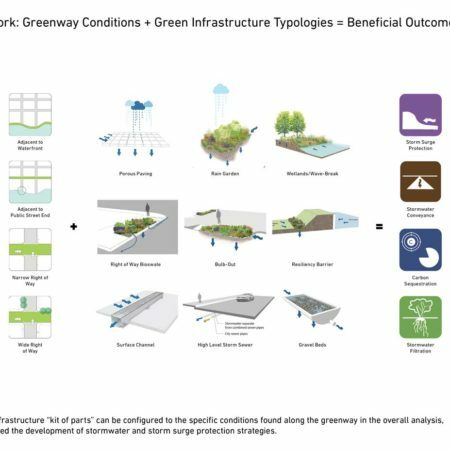 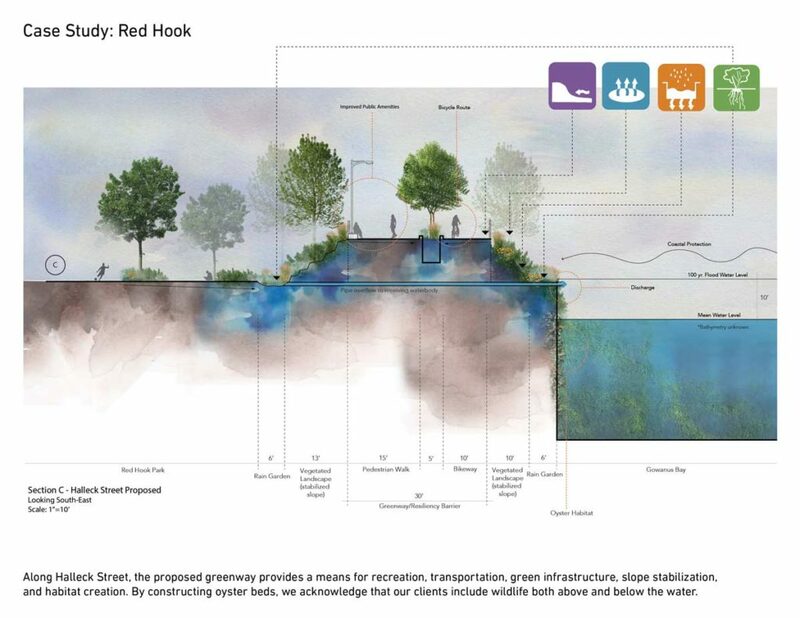 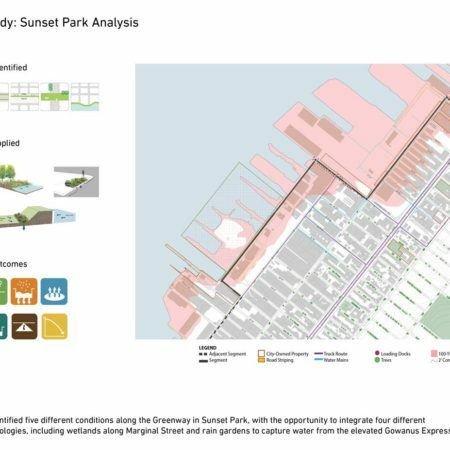 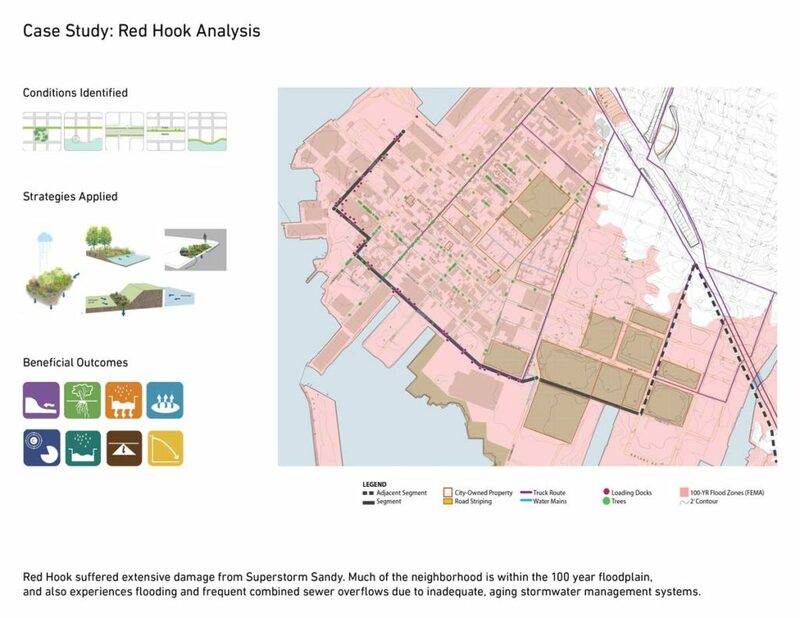 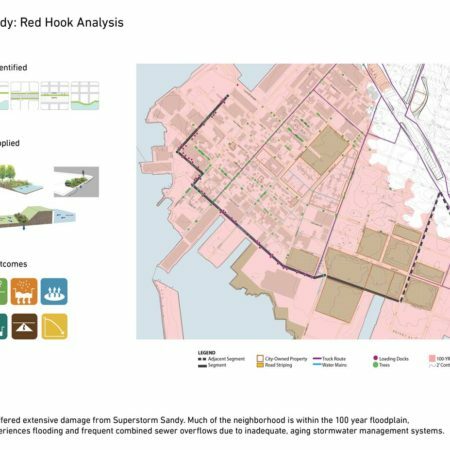 WE Design worked with eDesign Dynamics and the Brooklyn Greenway Initiative to create a comprehensive stormwater management design guidelines and resilience plan. 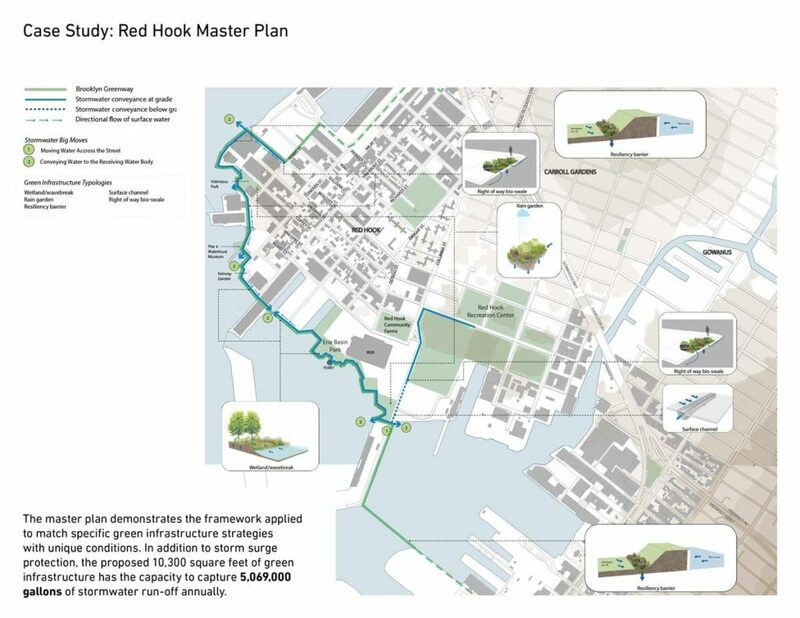 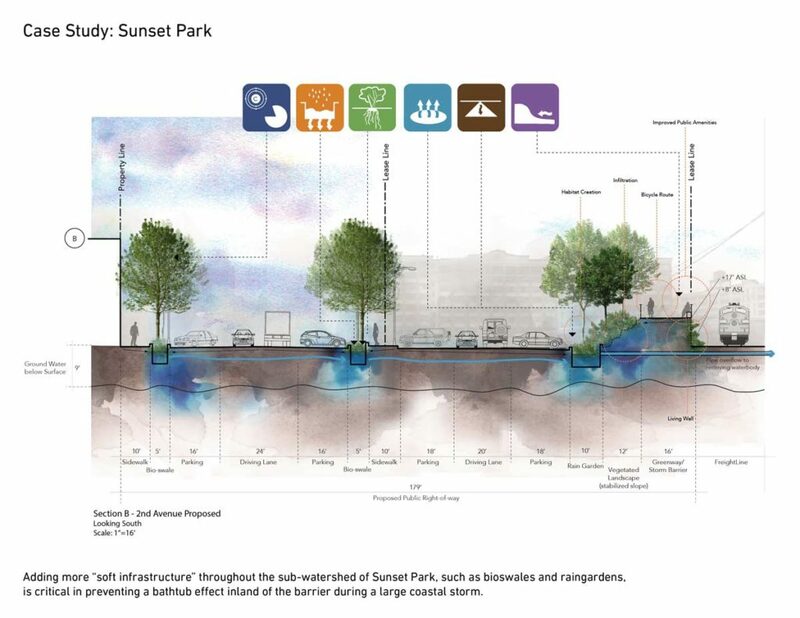 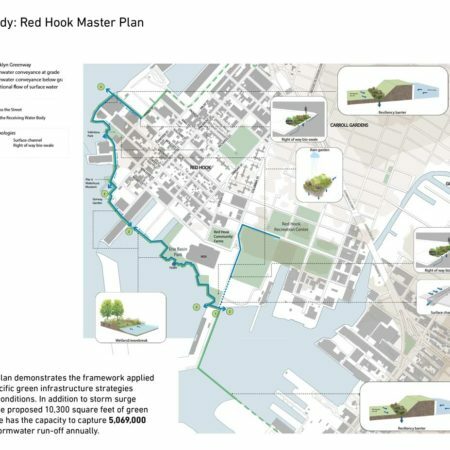 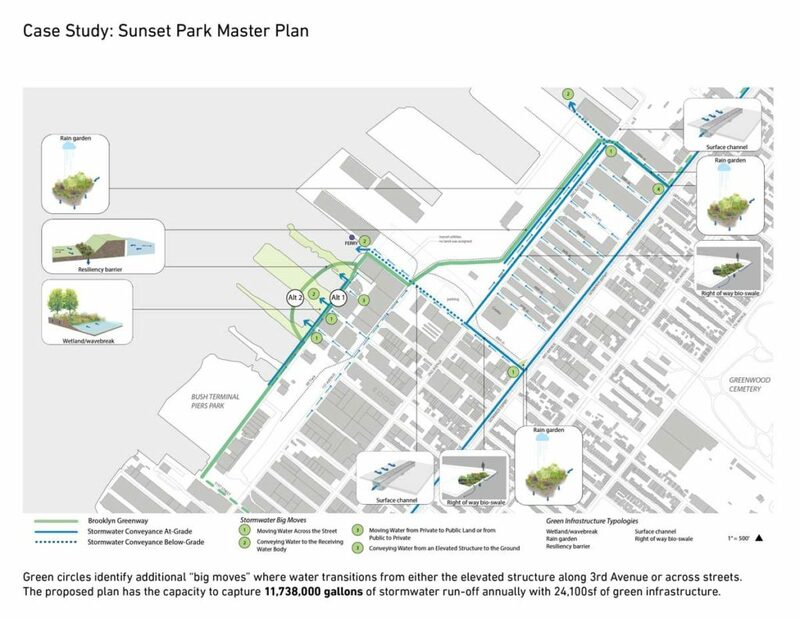 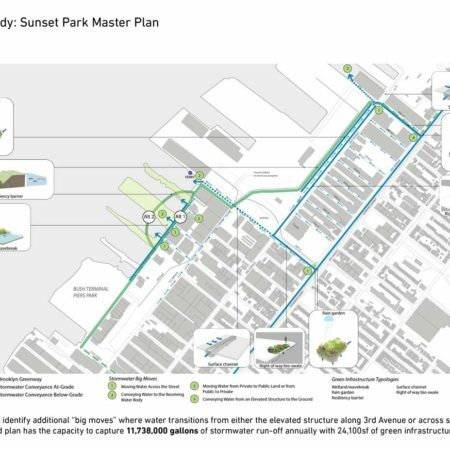 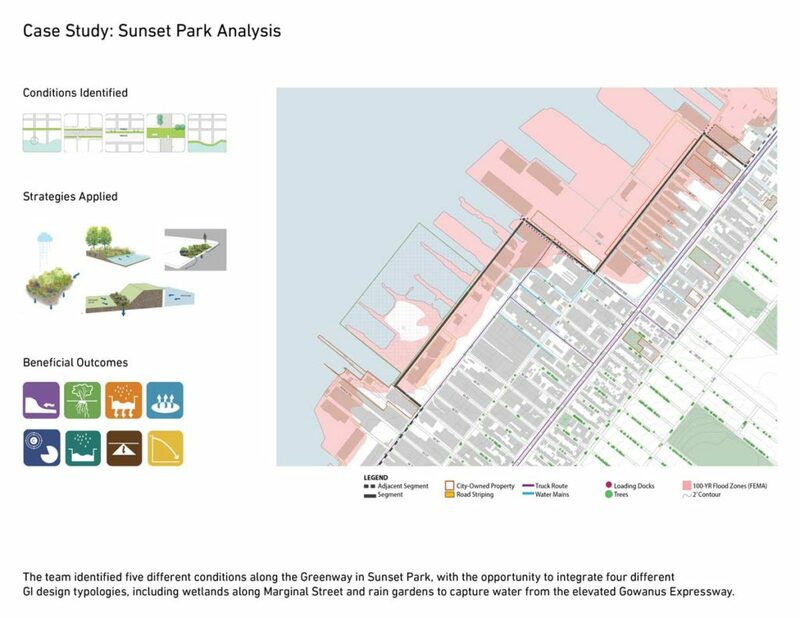 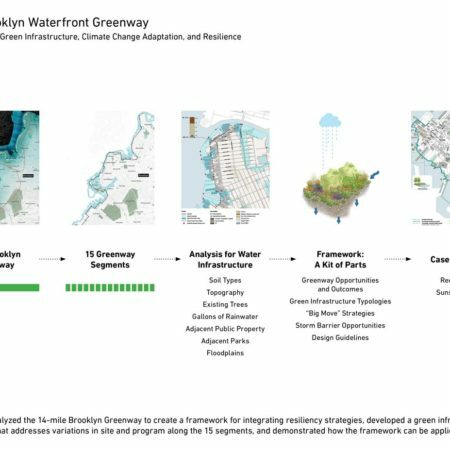 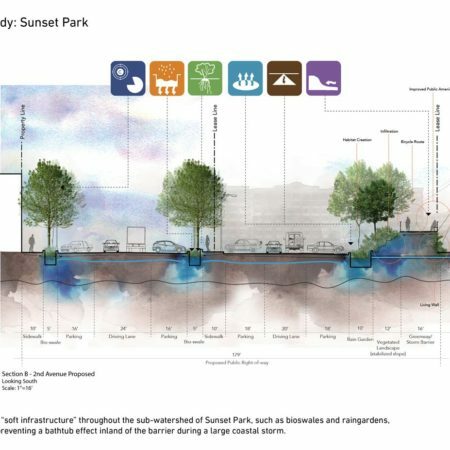 The plan integrates resiliency design into the Brooklyn Greenway, and serves as the spine for a larger stormwater management network. 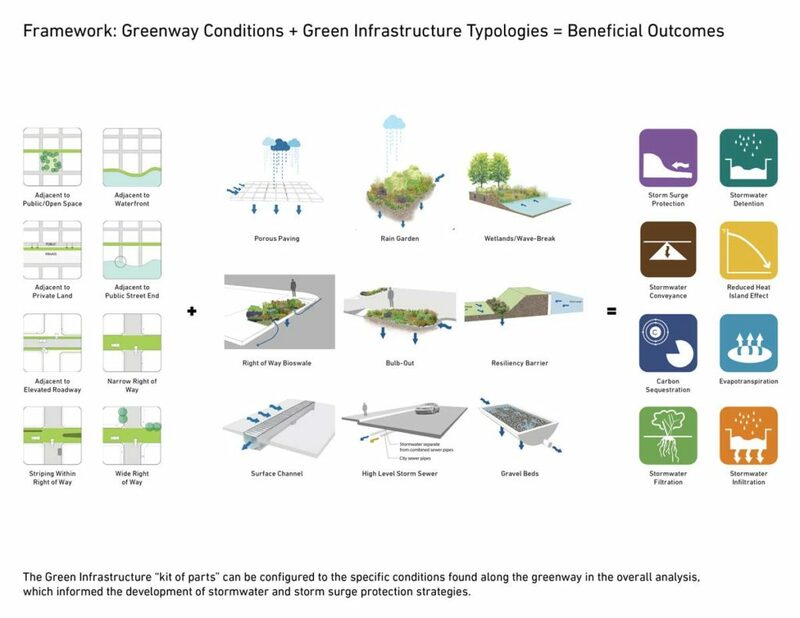 The guidelines provide a coherent expression for Greenway development, while addressing a range of issues influencing urban coastlines. 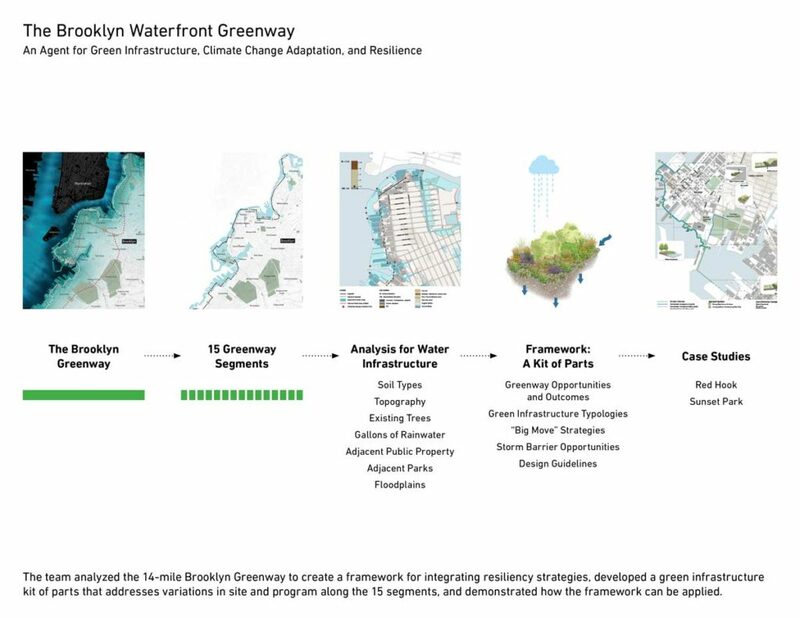 Fourteen miles of Brooklyn’s perimeter will be monumentally transformed by construction of a continuous bicycle and pedestrian corridor, creating the opportunity to address growing concerns about changing climate, rising sea levels, water quality, and coastal habitat enhancements. 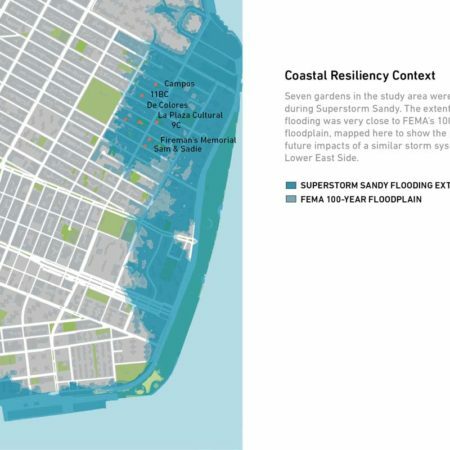 Large areas of Brooklyn were flooded by the storm surge generated by Hurricane Sandy in 2012, just a year after Hurricane Irene brought heavy precipitation and floods caused by inland runoff from the east. 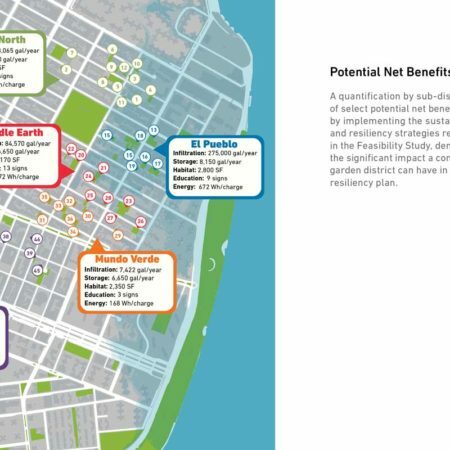 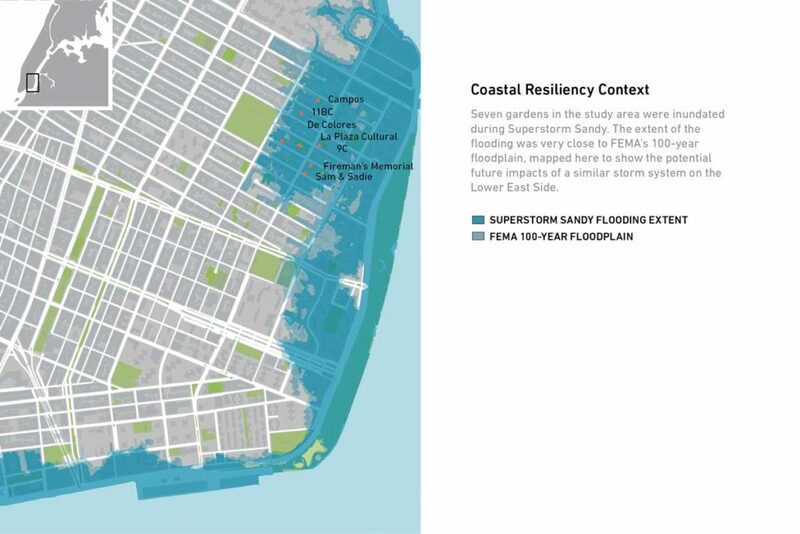 The resilience plan addresses the challenge of protecting against both types of storm risks simultaneously: balancing the need to protect properties from storm surge and release stormwater from heavy rains. 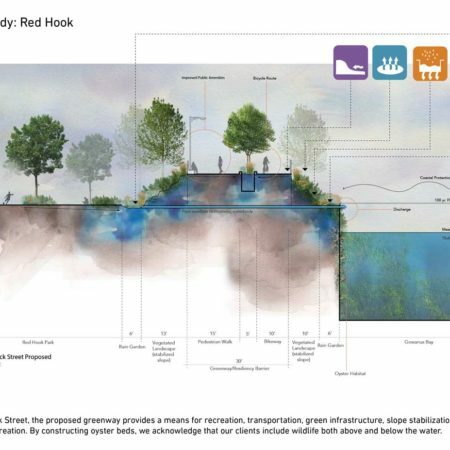 Funding for this project was provided by the NYS Department of State. 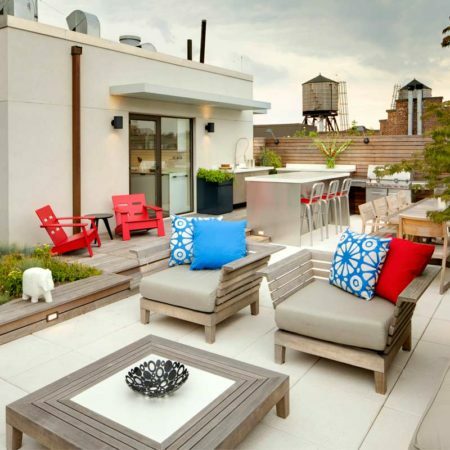 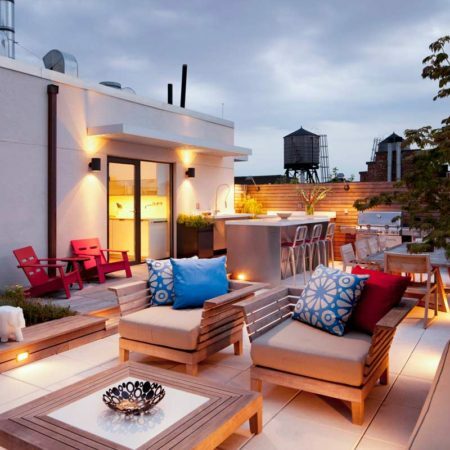 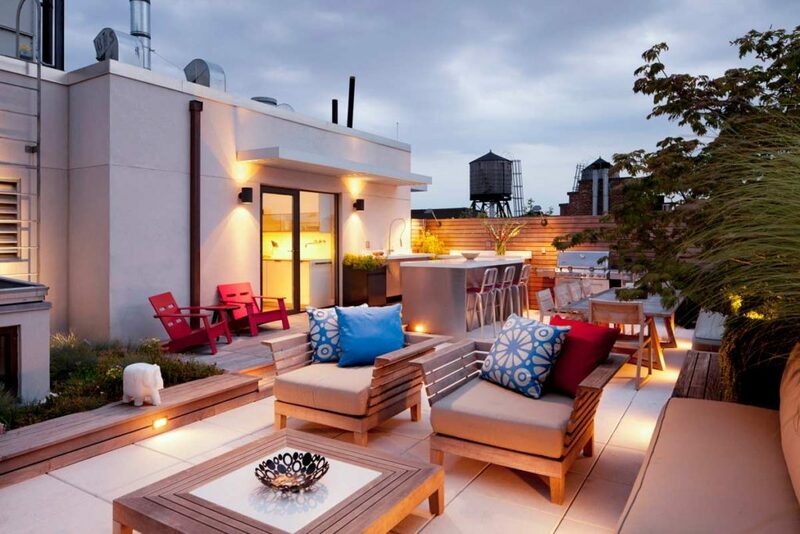 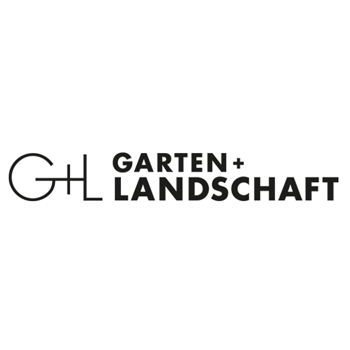 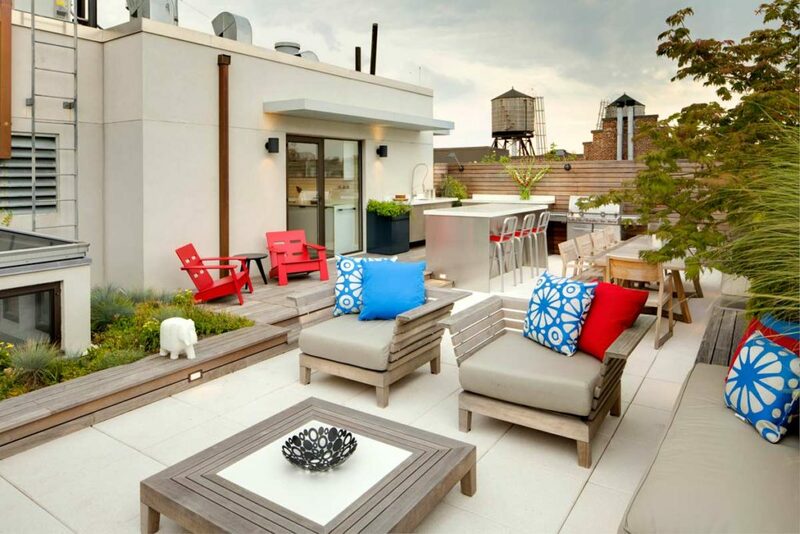 Custom designed and fabricated elements include benches along the front façade that open to provide waterproof storage, stainless steel cabinetry and powder-coated aluminum planters, custom white pavers, and white Corian counter tops for the kitchen cabinets. 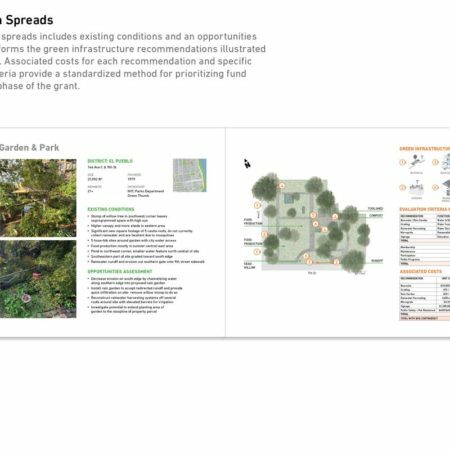 The planting plan maximizes and frames views. 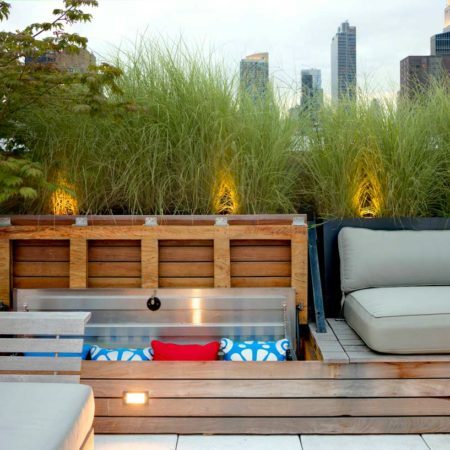 A variety of textures were added to the edge of the terrace, created by the Cotoneaster and the Panicum, the dominant plant in the design. 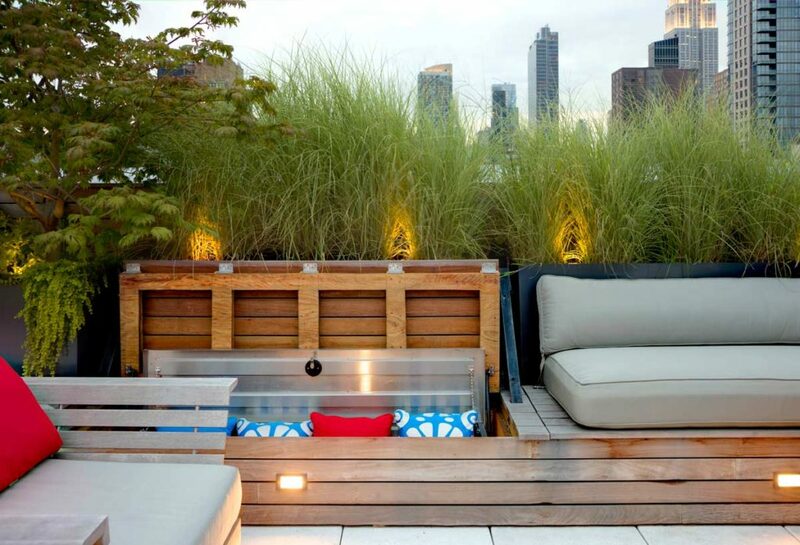 The grasses unify the two spaces between the dining room and lounge area. 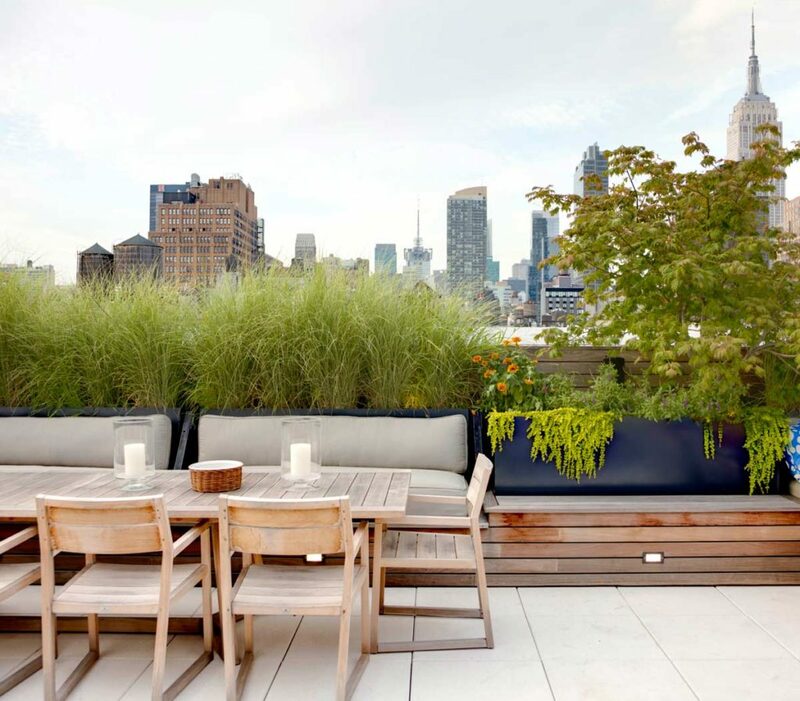 A specimen Japanese Maple frames a view of the Empire State Building. 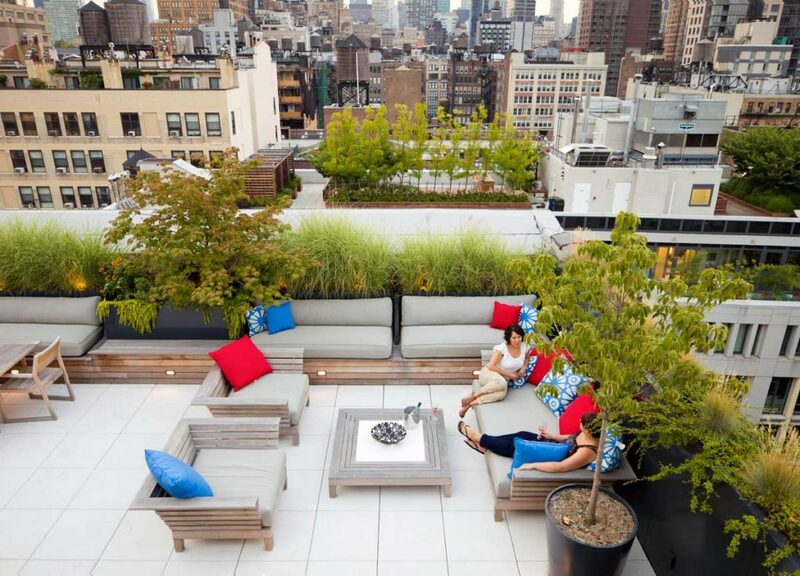 The Dianthus and Sedum green roof adds an attractive edge between habitable spaces and the skylight, and a green wall of climbing Hydrangea masks the harsh white stucco wall behind it. 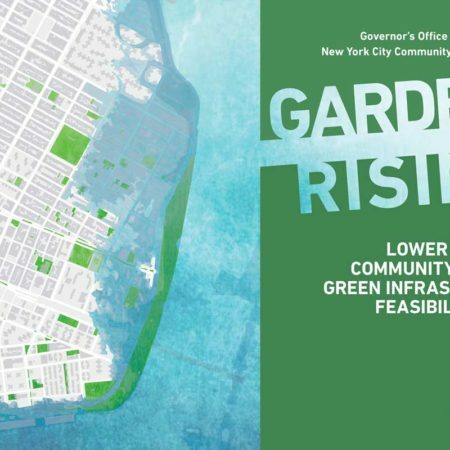 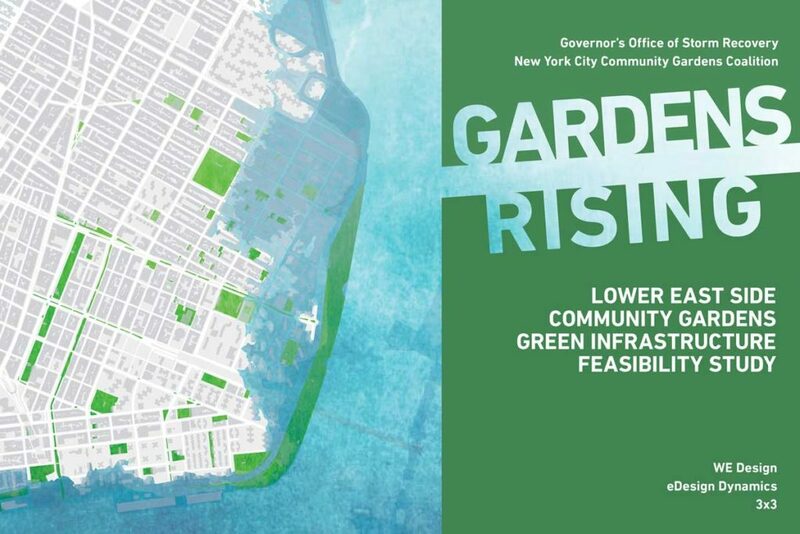 The NYC Community Garden Coalition (NYCCGC) selected WE Design to develop a feasibility study for the design and construction of green infrastructure in 47 community gardens located throughout the Lower East Side. 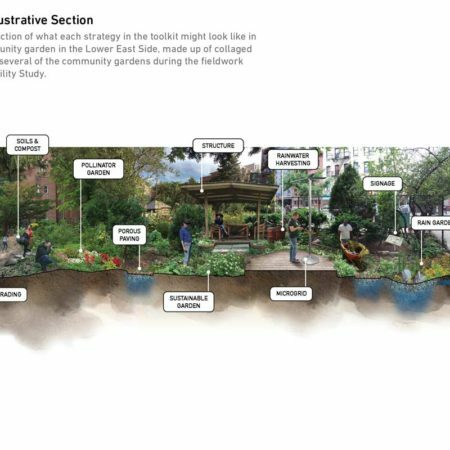 This project combines community participation with urban planning, landscape architecture, and engineering to increase the permeability and stormwater capture in these gardens, the majority of which are located within an area that was severely impacted by Superstorm Sandy, and also adds native plants to support habitat and beautify the neighborhood. 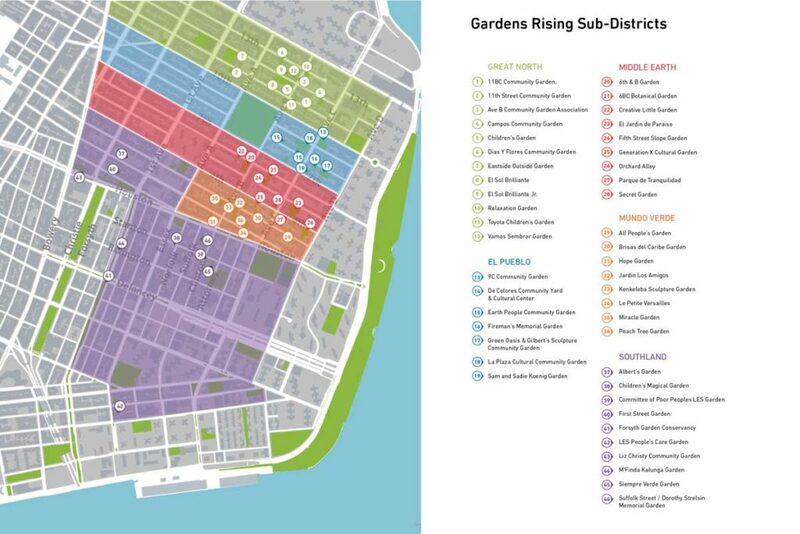 This extensive project has the potential to demonstrate, through specific hydrological metrics, the critical role community gardens can play in any city’s climate change resiliency plan. 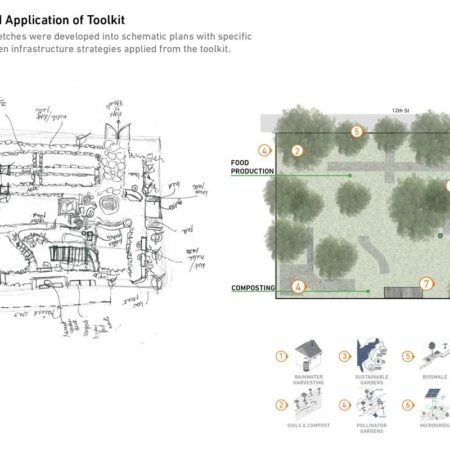 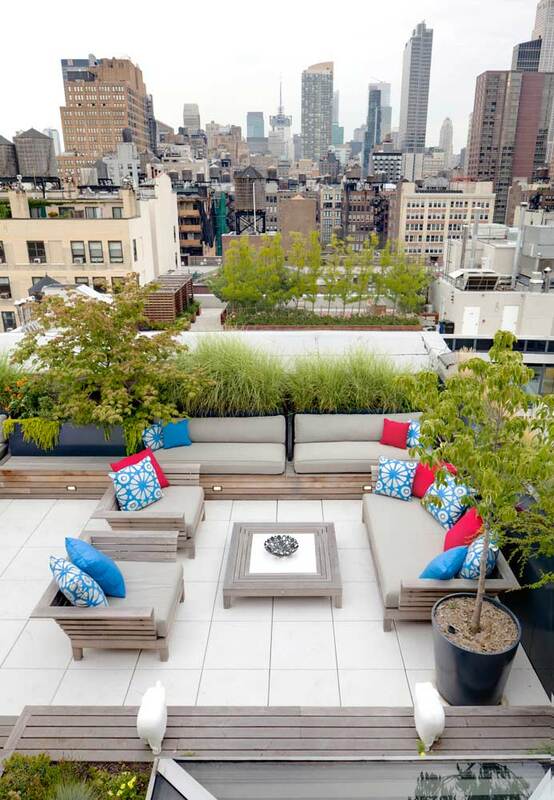 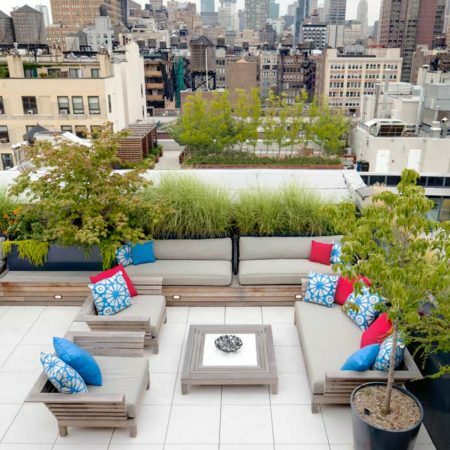 This project won a 2017 merit award from the American Society of Landscape Architects – NY.